When we were dating, my husband/boyfriend at the time informed me that his firstborn son would be named Evander. I asked why, and he said he liked Evander Holyfield's name. I said I didn't want my son to be named after a boxer, so we compromised on Evan. I have always believed that a person's name has an impact on the rest of their lives, and I wanted the name to mean something more than just sounding good or reminding people of a boxer. By the way, "Evan" is the Welsh form of "John," which means "God is gracious". I like that. 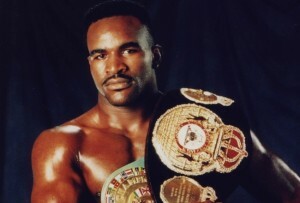 "Evander" means "good man," which is a nice thing to be, but kind of sounds middle of the road in its meaning. This is where our stories diverge. Erick says he then told me our daughter's name would be Evangeline. I said that I had had a dream that I had a daughter named Evangeline. Either way, we both agreed we would name our daughter Evangeline. As our dream of having a child became reality, it was a relief to already be set on names. As we came to accept and embrace our child who happened to have an extra chromosome, I thought more about the meaning of "Evangeline." It means "Good News." And to us, she is definitely good news. Evie is our nickname we have in mind for Evangeline because her name is so long. But we keep calling her Evangeline right now, or just "baby" or "cutie pie." I'll post more about how we knew we were having a girl very early on. Never thought I'd be happy to see a booger.